I cut the seeds out of the chilaca peppers, but I leave the seeds in the jalapenos for more spice if you want less spice remove the seeds. Place the peppers and onion in a saucepan with enough water to cover. Bring to a boil. Simmer until jalapenos soften and begin to lose their shine, about 8-10 minutes. Take a bit of the water off the boiled peppers you don't want it to be too runny. Add garlic, cilantro, cumin, Salt & Pepper and white vinegar to the boiled peppers and onions in the same pot as you boil it, blend with a hand blender to desired consistency. If the salsa is too thick to blend, just add some water from boiling the peppers back into the salsa mixture until you get the thickness you like. Hand blend until all of the ingredients are blended. Boil blended salsa for an additional 5 minutes and pour into a jar and seal for keeping if you don’t plan on using it all within a week or so. 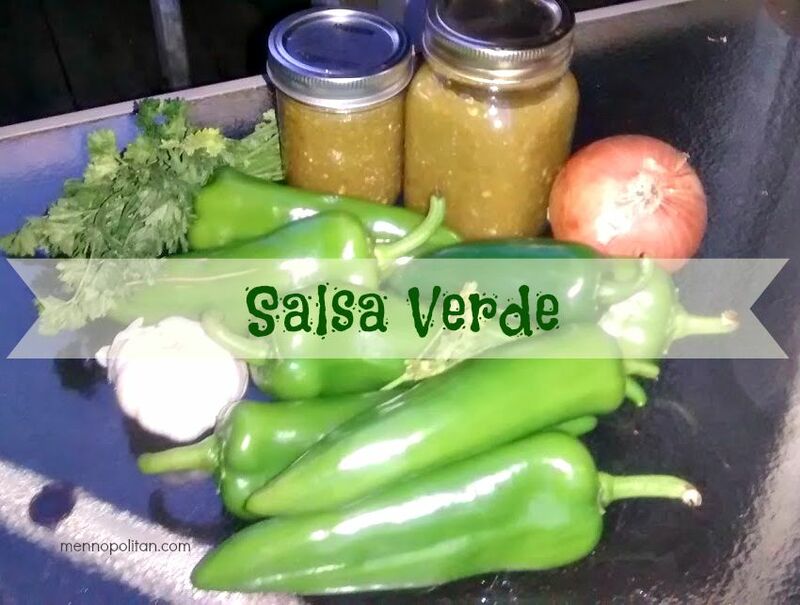 I use this salsa as burritos and enchiladas sauce. This salsa can be served cold or warm.